CREW Upstate | Congrats to Maurie Lawrence! 17 Nov Congrats to Maurie Lawrence! 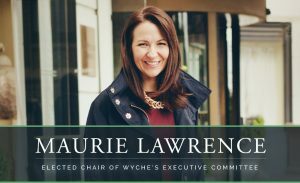 Congrats to Maurie Lawrence for being elected Chair of Wyche‘s Executive Committee! Maurie has been a member of CREW Upstate since 2010 and has served as a committee chair, delegate, and chapter president.